BRD has been promising us an electric supermoto for over three years. We've been patient. We've asked questions. We've sat by while it scored a Tesla exec to sit on its board and got a $4.5 million round of fresh funding. Now it looks like they're finally ready to deliver, but first, it's time for... rebranding? BRD is no more. The new company is Alta, which was announced in what has to be one of the greatest/worst press releases ever written (see below, it even starts with a TL;DR). But the new name is insignificant. 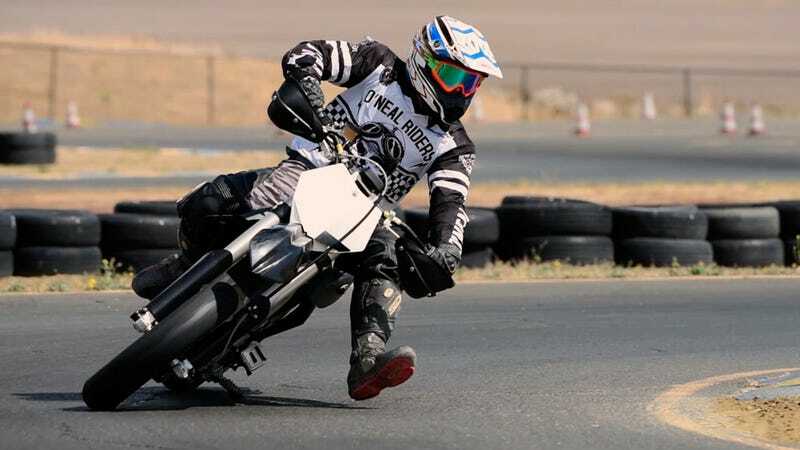 BRD Alta has ditched its old moniker and two years worth of work, reengineering the Redshift electric supermoto with a new forged and cast chassis, a completely new battery architecture, and an all-new electric motor that puts out 40 horsepower and weighs only 11 pounds. Let that sink in. The motor revs to 13,750 RPM, has adjustable engine braking and throttle maps, an internal helical gear reduction (so no shifting), and "totally sounds like a TIE fighter". It's powered by a 70-pound, 5.2-kWh lithium-ion swappable battery that's good for 1,000 hrs/50,000 miles and managed by a liquid-cooled motor controller. The pack is four inches shorter and 15 pounds lighter than the original, and everything from the chassis to the motor to the batteries are proprietary kit, with lots of patents pending. There are two versions of the Redshift: the street-bound SM and the off-roading MX. The MX weighs 251 pounds and the SM comes in at 264 pounds. Top speed is 80 MPH for the off-roader and 85 for the urban assault vehicle. Range is good for around 50 miles, with a four-hour charge time off a 110-volt outlet. While the stats might not be mind-blowing at first glance, for something of this size and weight, it's a massive step forward for supermotos. But that's assuming Alta can finally deliver and get people to cough up $14,995 for the MX and $15,495 for the road legal SM. They're promising the first round of customers to get their bikes in Q2 of next year, but we've been promised deliveries before, and we're still waiting.